Kaguya-sama: Love Is War is an anime TV series that began airing on January 12, 2019. Student council president Miyuki Shirogane is a brilliant boy and he happens to be in love with his vice-president, Kaguya Shinomiya, but believes that his feelings are unrequited (she actually likes him too, but she also thinks her feelings are unrequited). The way they dance around each other is truly a sight to behold and watching this couple has made it hard for many pixiv users to stop grinning! The members of the student council all have unique personalities too, including Kaguya's friend Chika the secretary, and you'll soon find yourself laughing out loud at their antics! 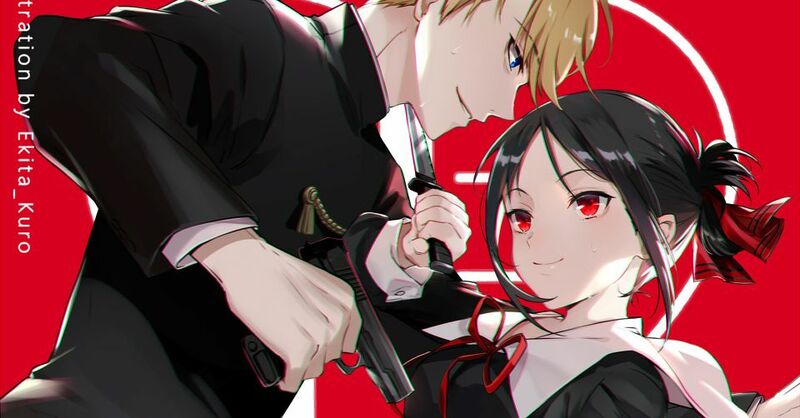 Today, we're featuring fanworks of Kaguya-sama: Love Is War. Enjoy!